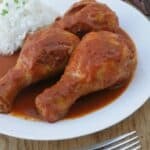 Chicken Drumsticks in Tamarind Chile Sauce is a robust and flavorful dish. It is the perfect balance of heat and sweet. Enjoy! Candy is dandy, but this chicken dinner is a winner. Some of our most beloved childhood candies in Mexico are made of tamarind and chili. They are the perfect blend of spicy and sweet. That’s exactly what I was going for in this dish. 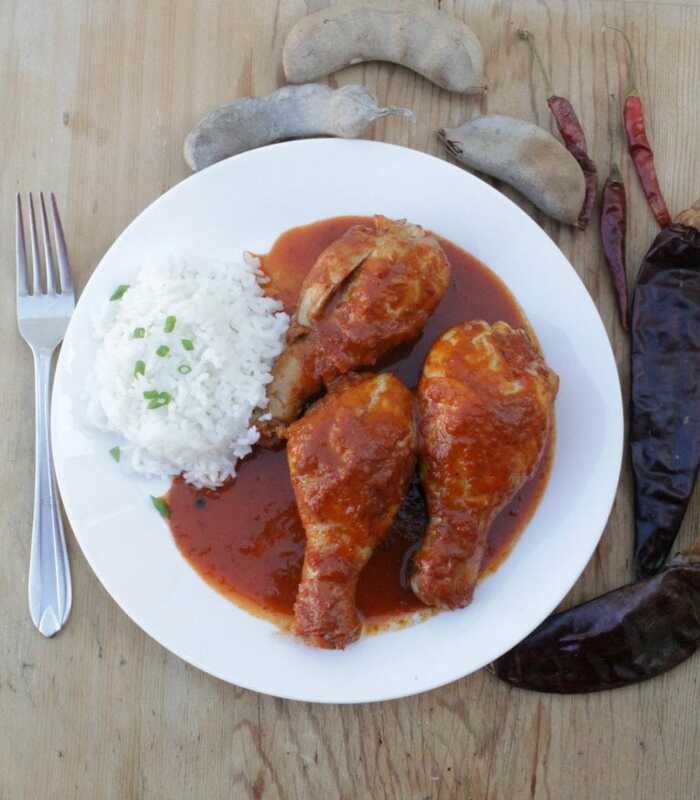 Chicken Drumsticks in Tamarind Chili Sauce is my grownup version of some of our favorite Mexican flavor combinations. I’m using drumsticks because of the price. 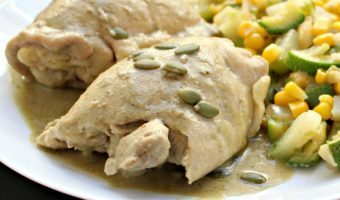 You can make this dish with whatever cut of chicken you like, but have you priced chicken breasts lately? Exactly! I’m sticking with drumsticks. They don’t need much seasoning. Just salt. The flavor will come from the sauce. Onto the tamarindo… If you’ve never worked with Tamarind before, you can also BUY the paste ready to go. Then skip ahead. 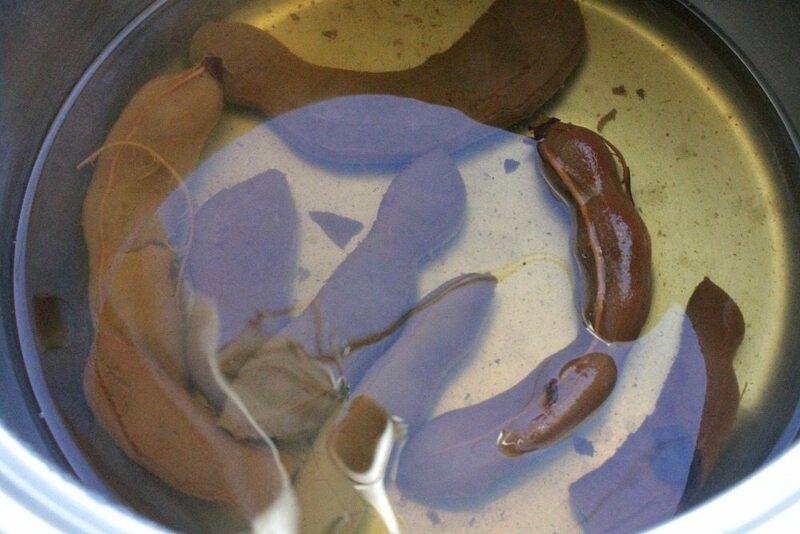 If you’re familiar with Tamarindo or you want to give it a try, it’s just like making Agua de Tamarindo, or Tamarind Water. Crack open the shells and remove the flesh from inside. Pour some water over them and bring to a boil. Turn off the heat. Come back in an hour. Next, with your hands, remove the seeds and membranes of the tamarind. Set this aside until you’re ready to use. 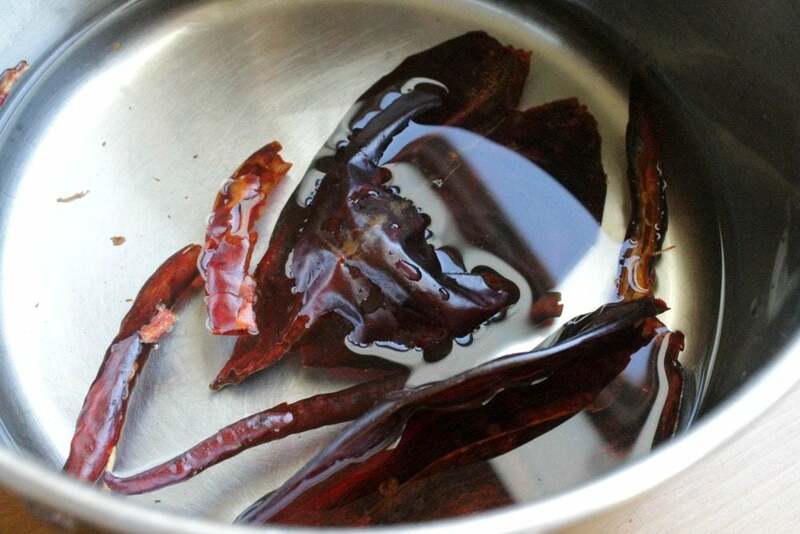 Now for the chilis… I’m using Guajillo and Chile de Arbol . My friends, chile de arbol is indeed very spicy. Please be very careful and do not touch your eyes. It’s happen to me more times than I’d like to admit. Not contact-lens friendly, if ya know what I mean! Wash your hands thoroughly after touching them. 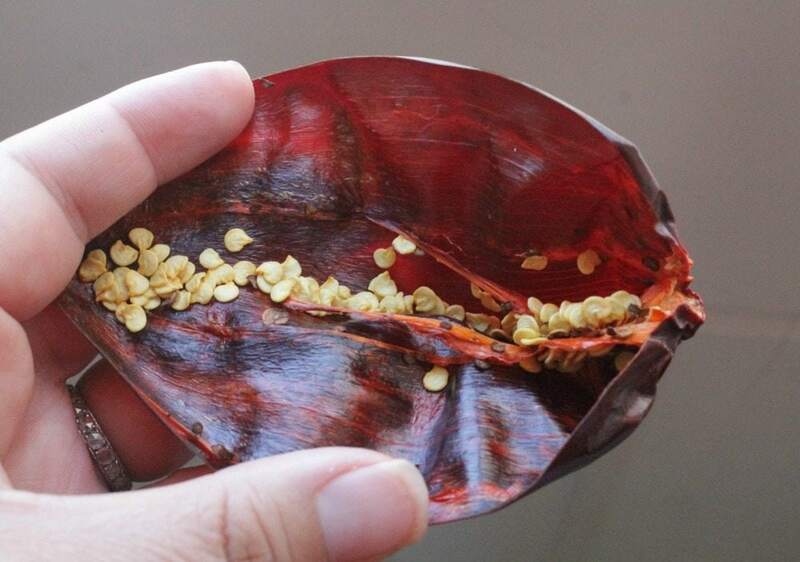 Toast the chilis and cut into them length-wise, removing all the seeds and veins. This is where the heat resides. Place them in a stockpot of water. Bring to a boil. Turn off heat. Come back in a 15 minutes. The chilis will be soft and ready to use. Place the chilis, tamarind, brown sugar, onion, and garlic in a blender along with 1 cup of chicken broth. Blend until smooth. Taste for salt. In a large skillet , heat the oil and add the chicken. Brown on all sides. Then add the tamarind chili sauce along with the remaining chicken broth. Cover and let simmer for 30 minutes. The sauce will thicken up almost like a thick curry sauce. 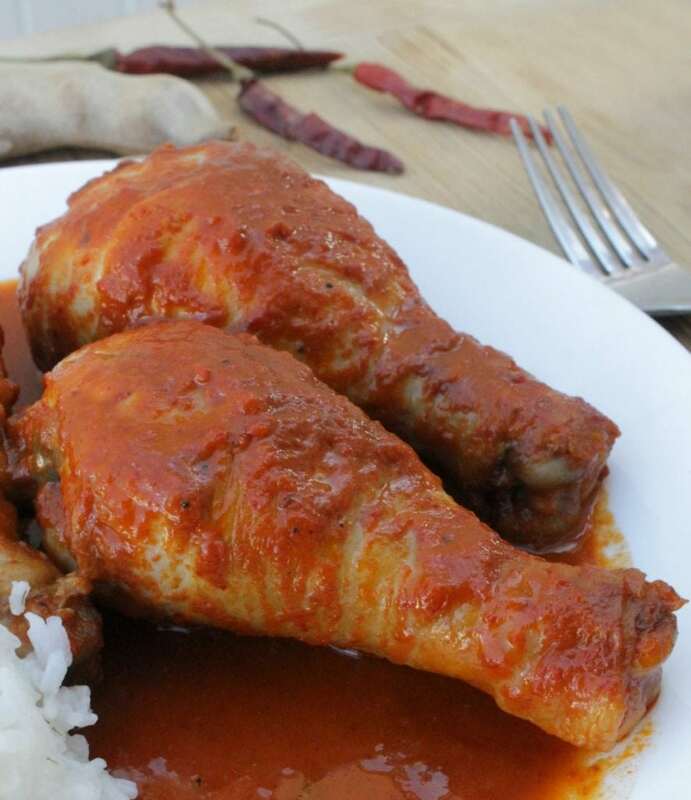 This Chicken Drumsticks in Tamarind Chili Sauce is delicious and full of amazing flavors. Spicy and sweet and ready to eat. 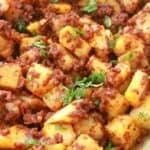 Serve with rice and garnish with a green onions. Hope you enjoy! Crack open the tamarind pod, removing the shells. Add them to a large stockpot. Add enough water to cover the pods. Let stand for an hour, or until the tamarind flesh is soft. 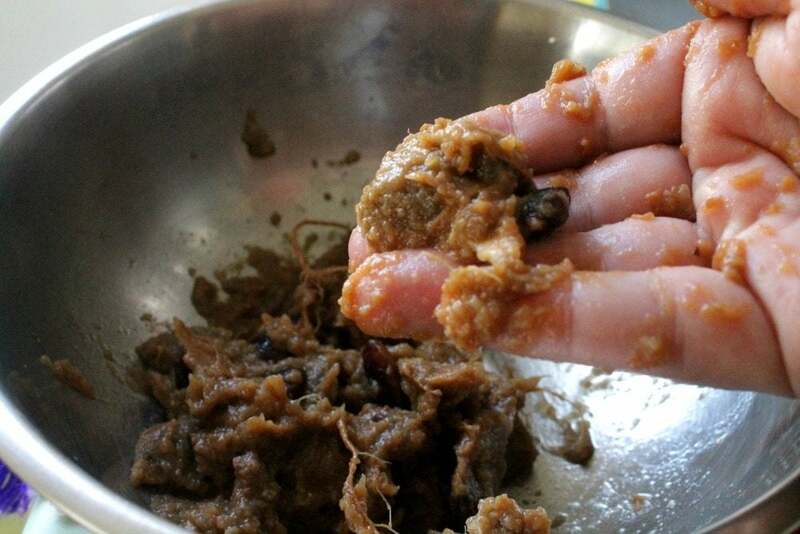 With your hands, remove the membranes and seeds from the tamarind. 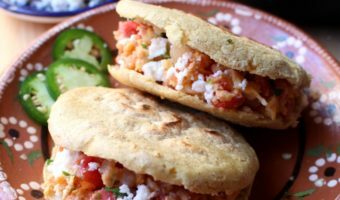 Toast the Guajillo and chile de arbol chilis on a griddle, turning frequently. Do not let these burn. Only 1-2 minutes on each side. With kitchen scissors, cut the top of the chili, then lengthwise, and remove the seeds and the membranes. Repeat this step for every chili. Add all the a large stockpot along with enough water to cover the chilis. Turn stove off and let sit for 15 minutes, or until soft and pliable. 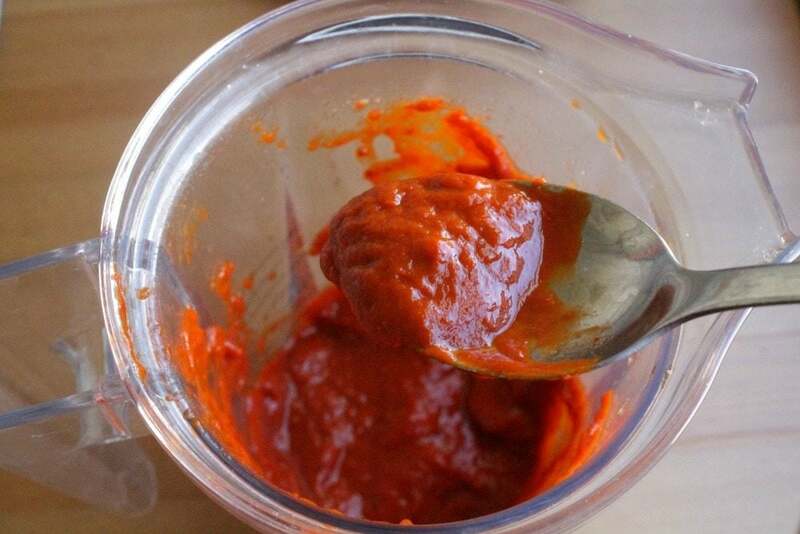 Add the tamarind paste, softened chilis, 1 cup chicken broth, brown sugar, onion, garlic, and salt in a blender. 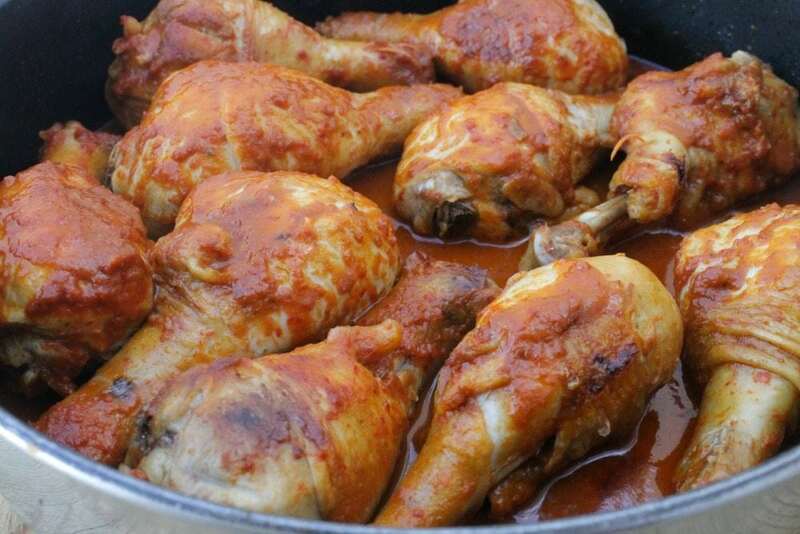 Brown chicken drumsticks on all sides. Slowly add the Tamarind Chili Sauce and remaining chicken broth. With a spatula, gently stir the sauce, scraping the bottom of the pan. 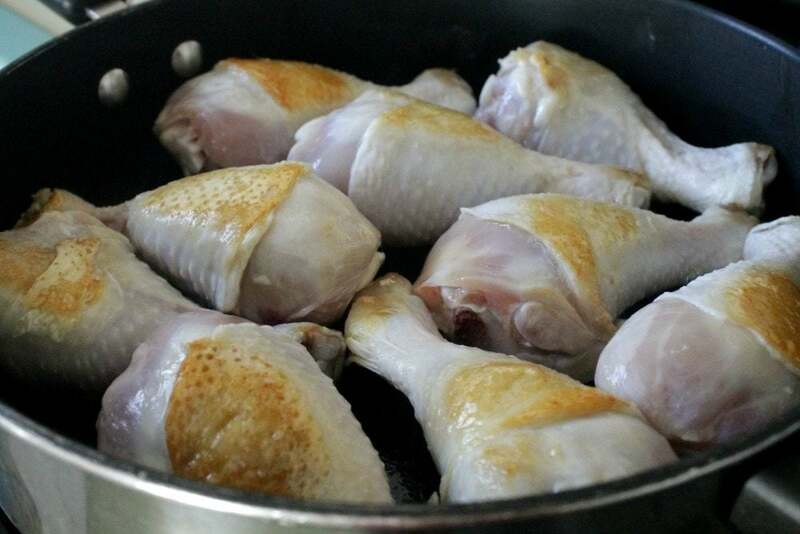 Reduce heat and let simmer for 30 minutes, or until chicken is fully cooked. Me too. Tamarind is so yummy. That looks amazing! Adding this to our menu next week! I’m sure your family will love this dish! Enjoy. 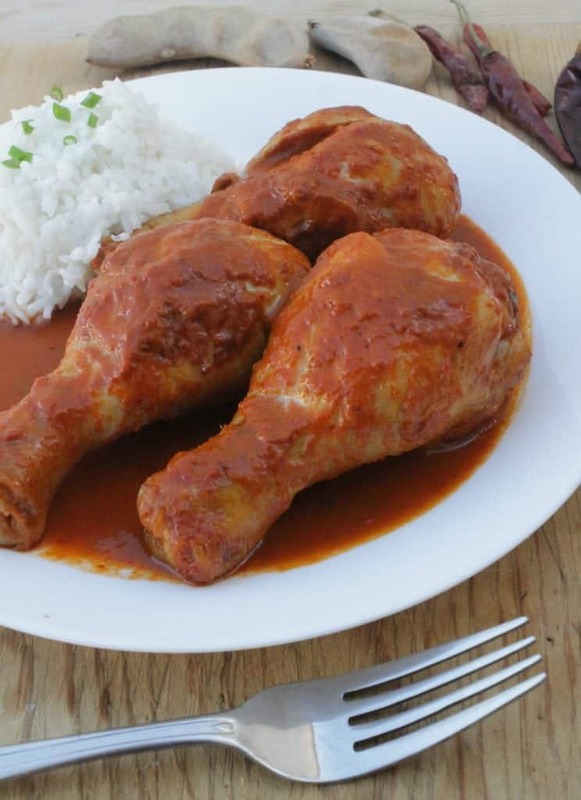 Maggie, all of your recipes look so darn scrumptious, including this chicken in tamarind chili sauce. I love all the detailed instructions. 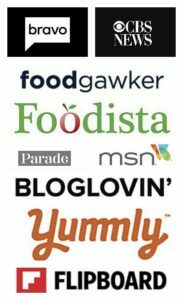 I’m pinning the top image to Pinterest to share the love! 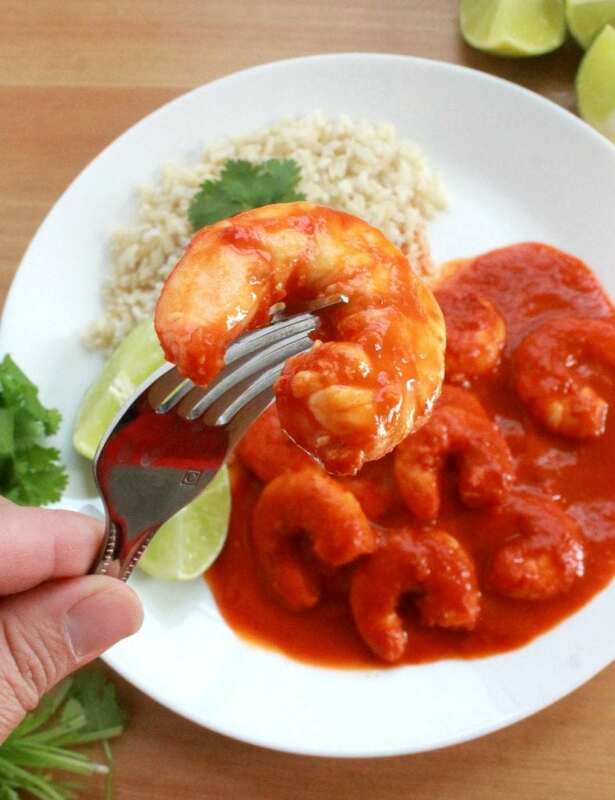 I really wish I could eat spicy food because this looks delicious! 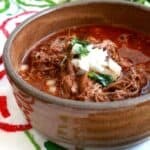 You can always tame this recipe down by using less chilis. 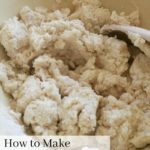 This recipe looks incredibly tasty! 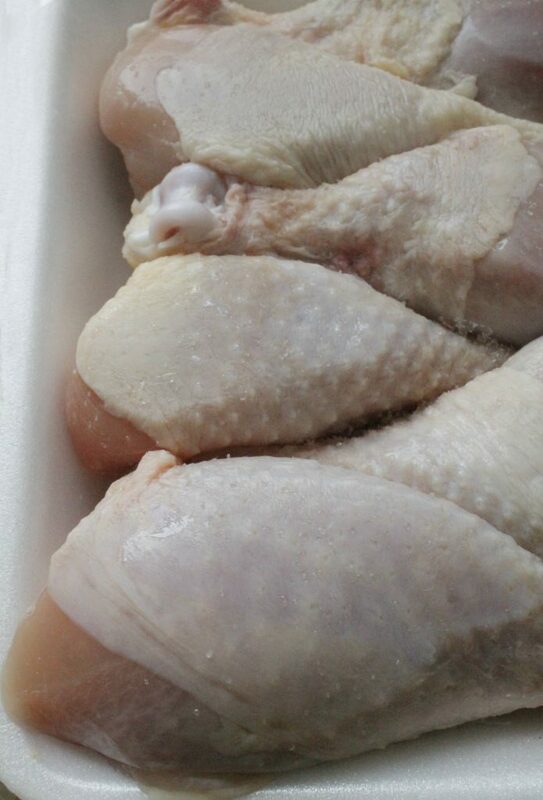 I’m a big fan of drumsticks, and always swap them for any type of chicken wing recipe, since to me, wings just don’t have enough meat on them to be worth the mess and effort of eating them. I’m looking forward to making these drumsticks very soon! This looks so good. I love cooking with chilies! Me too. I always have dried chiles in the cupboard. I’ve never had tamarind. Definitely need to try this! You must. Tamarind is delicious!